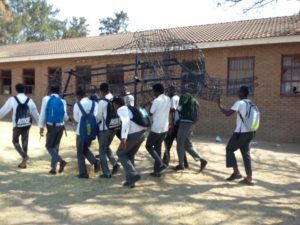 Shobiyana High School aspires to be THE art school in Mpumalanga, despite its location in a Presidential Poverty Node with an 85% unemployment rate. 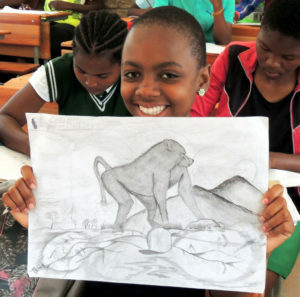 Their art program is driven by Walter Sibuyi, art teacher to several hundred learners. 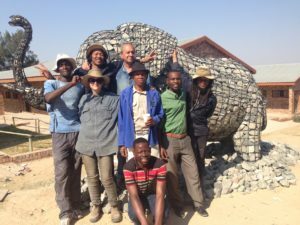 Enter world renowned sculptor Andries Botha who met Walter in 2014, and a program like no other was born. 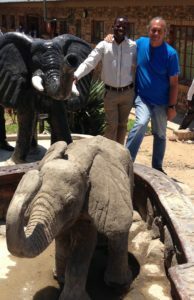 Andries was inspired to create one of his iconic elephants after being introduced to Walter and his learners’ artworks. 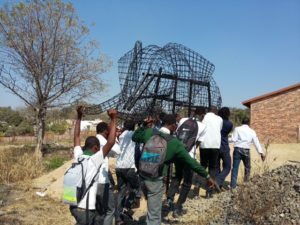 Andries’ intention in creating this beautiful sculpture was twofold: firstly, to celebrate Walter’s passion and dedication to art education and to encourage the journey into creativity. 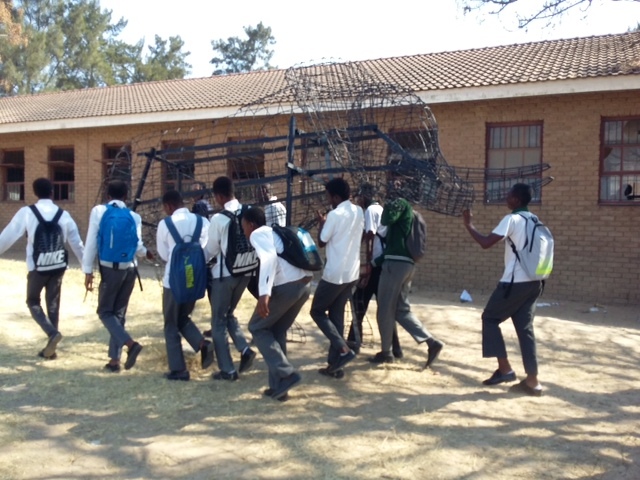 Secondly, to invigorate a sense of connection between the learners and nature, which would result in the realisation of their responsibility to and custodianship of the natural world. Fusing deep Shangaan cultural lore of family totems with the Human Elephant Foundation’s credo, “The elephant is a metaphor for the the yearning for forgotten conversations between humans, the Earth and all living things”, learners began preparations for a week long intensive art workshop in April 2015, to be run by Andries, Walter, Nick Vorono and local artists Nemrod Shilwane and Ommie Ngwenya. 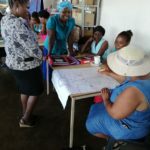 Learners researched their family’s totems to draw links from heritage to creativity to the urgency of custodianship of nature. With the breakdown of traditional references and heritage in the harshness of poverty, the project aimed to re-invigorate the importance of this valuable totemic family history, one of the crucial “lost keys” of the conservation necessity today. The relationship between humans and wilderness would be re-awakened, confirming the inter-relatedness these have. 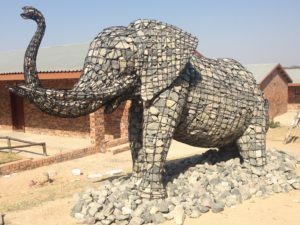 The school’s namesake is Chief Shobiyana, whose name means “rock of the family”. In nurturing our human family through art, children learn that they are not empty inside, that they have inner resources and can create something out of nothing. Andries and his team completed his elephant sculpture on Friday 14th August 2015. 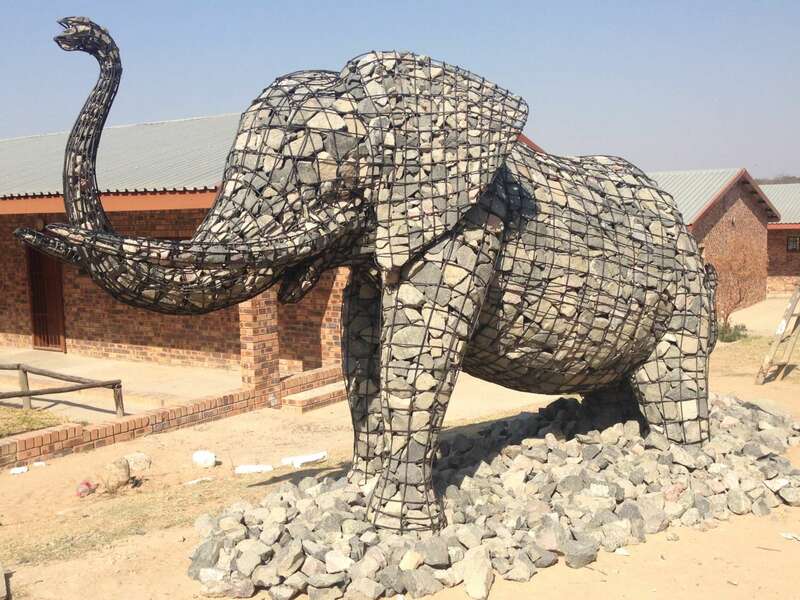 The steel and rock elephant now stands testament to the power of creative vision, the hard work and commitment it takes to fulfil visions. It reminds all who experience it of the elephants’ and other threatened animals’ vulnerability and how critical it is that we stand for them to ensure their survival from the dire challenges they currently face. 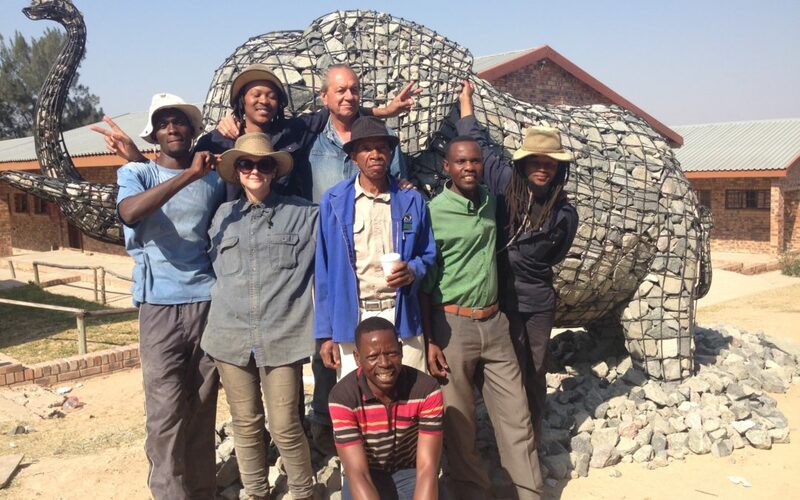 Thank you to Andries and his team: (photo from left to right) Derrick Sithole,(back row) S’bu Mazibuko next to Andries, front row Jessica Bothma, local artists Nimrod Shilwane and Ommi Ngwenya, Siya Madlala and in front, Walter Sibuyi, and thank you to the elephants for all that you give us. Andries Botha, Zingela Ulwazi and Seeds of Light donated their time and skill to make this project a reality. If you would like to support us, please click on the DONATE button below. Listen to Andries Botha and Stella Horgan being interviewed by Michelle Constant of Business Arts South Africa.